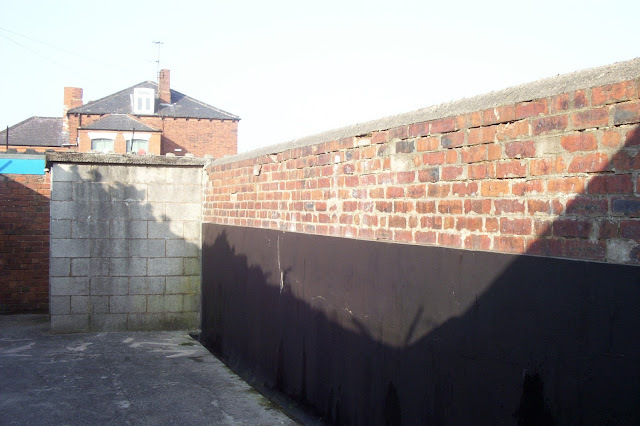 1: Saltergate was one of the oldest football grounds when it closed, having opened in 1871. The first game happened in the November of that year with a 'Sheffield Rules' game against Rotherham. 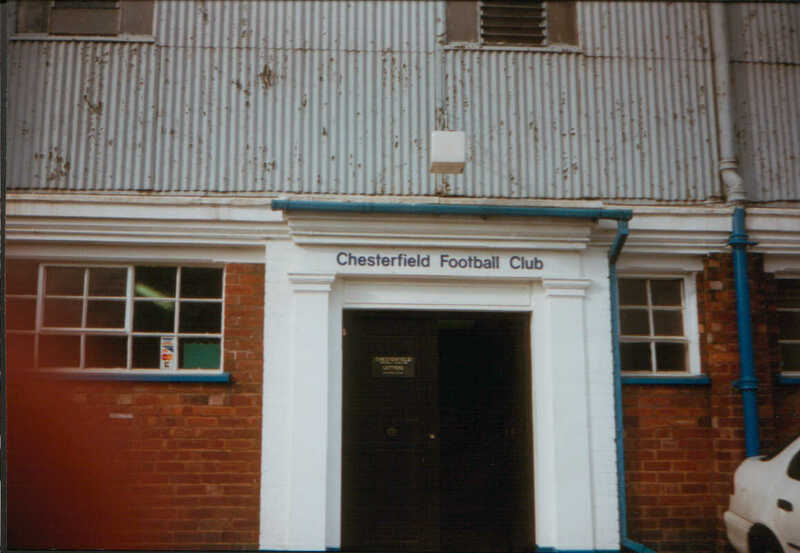 2: Before entering the Football League, Chesterfield played in the Midland League. 2 spells between 1896-1899 and 1909-1921 saw them crowned as champions in 1910 & 1920. 3: The club's first spell in the Football League began in 1899. Their best finish was 5th in the second tier in 1905. However after that they struggled and in 1909 they finished second bottom of the league, failing to win re-election. 4: Since 1921, Chesterfield have been unbroken members of the Football League. Their best ever finish came in 1947 when they finished 4th in the second tier. 5: As a third tier club, Chesterfield had an astonishing run to the FA Cup semi-final in 1997. Paired with Premiership Middlesbrough in the last four, an epic 3-3 draw was played out at Old Trafford. They shot into a shock 2 goal lead before being pegged back and going behind. They had a perfectly good equaliser ruled out by referee David Elleray before levelling in the last minute of extra time. Sadly they lost the replay 3-0 at Hillsborough. 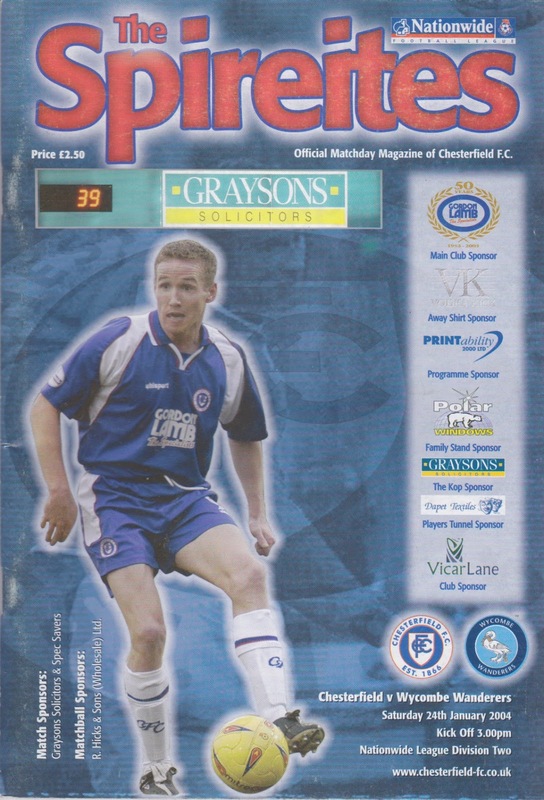 6: Chesterfield's best ever run in the League Cup came in the 2006/07 season. That year they reached the 4th Round before losing on penalties to Charlton Athletic, following a 3-3 draw after extra time. 7: The record attendance at Saltergate came in February 1938 when 30,561 attended their FA Cup 5th Round game against Tottenham Hotspur. 8: Artefacts from the ground are still in use today including crush barriers in the English & Scottish football museums and wooden seats at the Football League headquarters in Preston. 9: The ground was used as the prime location for the film 'The Damned United' in 2009 due to its age and period features. Mainly representing Derby County's old Baseball Ground, the scenes netting the club around £50,000. 10: Saltergate was used for the last time in 2010, prior to the club's move to their new stadium at Whittington Moor. The final game was against Bournemouth on the 8th May 2010. Derek Niven scored the last ever goal at the ground with a last minute winner in a 2-1 win. 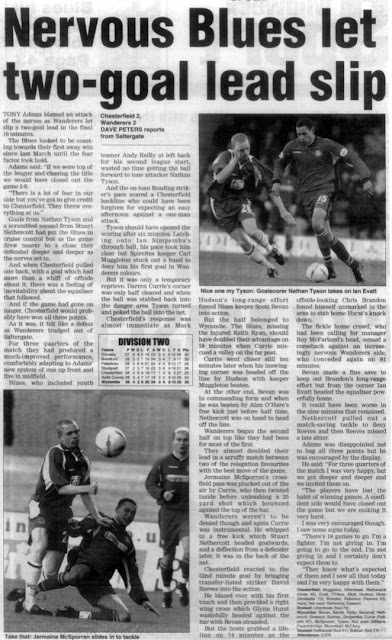 This game was probably the height of Lawrie Sanchez's reign when the messiah could do no wrong, though that was to quickly unravel in the intervening months, which was sad for a manager who had got us to the FA Cup Semi-Final the previous season. I made my way up on the official supporters coach though the journey was beset by traffic issues on the M1 and we arrived bang on kick off. It was a good time them to record our sole victory in my 4 visits to Saltergate. It was an early second half strike that sent the 150 Wycombe fans who had braved the midweek trip into raptures as we continued our charge towards the playoffs. Oh dear. How things can change within the space of the season. After being a hero a year earlier, Lawrie Sanchez had made himself even more unpopular with a string of barbed comments towards the supporters. To be fair though what we would give for such success now, sitting mid-table (albeit low mid-table) now so maybe the fans were too quick to criticise. Maybe the negative atmosphere contributed to this result. who knows, but in any case the performance was dire. Close and Reeves put the Spireites ahead before Chris Brandon added a late brace to cap a woeful day for Wycombe. It could have been many more but we were spared further embarrassment by some good saves from keeper Frank Talia. Sanchez tried to make his players apologise for the debacle after the game but the crowd turned on him as he remained in the stand for the duration. Having had a mixed time for my 2 previous visits to Saltergate, I travelled north nervously for this game. In the midst of my 7 year run of not missing a game home or away, this was not the best time to be a travelling supporter as we'd not won an away game in 11 months. Under new boss Tony Adams, results had been mixed, with us sliding towards relegation with no definitive signs of things improving. That was until we went 2-0 up in this game. Around 10 minutes had gone when Nathan Tyson stabbed home from a half cleared Darren Currie corner in a first half that belonged to Wycombe. It was another Darren Currie delivery that led to the second, with Stuart Nethercott headed in and Wycombe had all but beaten their relegation rivals. That was not to be however as Chrsi Brandon pulled one back on 74 minutes, though it looked offside. The nerves started to jangle then and perhaps it was inevitable that Ian Evatt would head home from an 81st minute corner to equalise. Wycombe would hold on despite pressure, but would be relegated by Easter. Chesterfield clung on for a few years more, joining Wycombe in the basement in 2007, as their luck eventually ran out. 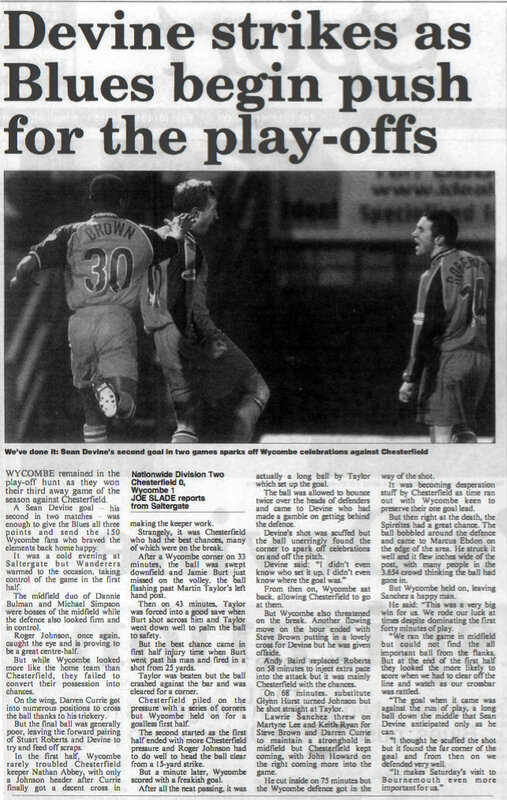 The below is an entry from my former blog, Chairboys Forever and was written about my visit to Chesterfield in the 2007/08 season. Ironically given the blogs name, I broke a 7 year run following Wycombe home and away without missing a game the following season. That game was at Chesterfield but there would be no chance of me missing it now as I have made so many good friends up in Derbyshire and they have been a pleasure to meet at Chesterfield’s new ground. Friar Lane & Epworth - couldn't really get any decent pics as it was all locked up. Graham Street Prims - an unexpected one, I just stumbled upon this one by mistake as it was across the green from Borrowash. They're not in the FA Cup, but have a tidy little ground that a lot of sides higher up the Pyramid would be proud of. Borrowash Victoria - another nice little ground, called the Borrowash Construction Bowl. Nice friendly people at the club, who tell me they are without a game today. They're awaiting the winners of the Hallam V AFC Emley tie in the next round of the cup. Long Eaton United - again a decent ground. Luckily there was a kiddies game going on, allowing me to get in and take photos of the ground. It was debatable whether this was the best football I saw today! Staveley Miners Welfare - despite being locked up, I managed to get a decent few pictures. Not a bad ground again, and another one off the list. In the pub before the game I discovered someone actually reads this stuff I write. So hello to that gentleman, hope you continue to enjoy. All the pre match talk was on why Lambert had dropped Tom Williams - it later transpired that he had had chest pains before the game and had to go to hospital. How true that is I don't know, but it would seem a logical explanation for his omission. That wasn't the only strange change Lambert made in the game. Bloomfield was strangely taken off, for no apparent reason. Gary Holt was dire today and was eventually substituted, but not before Bloomfield had made way. Easter was poor, although he perked up towards the end. He didn't look that happy though, obviously disappointed about not going to Plymouth, if you be live what the papers say. Though he did perk up near the end, putting our best chance of the game into the side netting. The goals - one was a well placed shot after poor defensive play, the other a result of Scott Shearer failing to deal with a cross, at least that's what it looked like from my end. Positives? A few of our players strived to create something. McGleish, Bullock and Torres looked OK, but overall very disappointing. We will have to shape up next week against Brentford, live on Sky, unless we want to be humiliated in front of the TV Cameras. SALTERGATE was a real traditional venue, a bit ramshackle and rusty by the time it breathed it's last, but that all added to the charm. I first visited around 1994 when I visited the Peak District with family. It wasn't for a game, but on the non-matchday the club were really friendly and that set the tone for the place with me making many good pals with Spireites fans once social media was invented. The ground was in a great location, right next to the town but I didn't really benefit as well as I could as I wasn's as adventurous back then. THE MAIN STAND held just shy of 2500 fans, with 450 of them being given over to away supporters. I never sat in there but this was probably the oldest looking area of the ground. Like many old grounds it had supporting pillars for the roof, but these were not as bad as some other venues. The viewing area was elevated, which must have given a good view for those sitting in it. On the other side there was the COMPTON STREET STAND. On my flying visit and my first visit here it was a covered terrace but for the subsequent 3 visits, it had been made all seated. This had the TV gantry on top and was probably my favourite in terms of appearance. It was quite set back from the pitch and had a large walkway that must have impeded the views of those sitting back under the cover. The end where the home side's main vocal support was located was known as THE SALTERGATE KOP. This remained virtually unchanged during the span of my visits, though renewal work was required at the turn of the century to meet safety standards. The end held 2000 fans along with the main stand was the oldest looking area of the ground. THE CROSS STREET END was in line with the rest of the ground on my non-matchday visit with old terracing. However by the time of my first match visit in 2002 it had been modernised with some decent, modern and steep (but uncovered) terracing. This stayed the same for the duration of my visits and could hold up to 1,400 visiting supporters. I remember it most for its spartan toilet facilities - a roofless construction with 4 walls and little else!